Fiber is not only important for bodybuilders and professional athletes, but also for everyday men and women. Most Americans don’t realize that the average adult male should be consuming at least 30 grams of fiber each day while adult women need a minimum of 20 g. While it is best to receive your daily fiber intake through food such as beans, leafy green vegetables, fruits and whole wheat cereal, people can also take a fiber supplement to compensate for any fiber not consumed in your diet. However, with so many different supplements available for purchase choosing the best one can be a challenge. Luckily, we’ve reviewed the best fiber supplements of 2015 to help you choose the perfect one. Since Americans consume less than 50% of the recommended daily fiber intake, it is imperative to take a supplement that contains the nutrients from healthy plants, fruits and vegetables. With Trace Minerals Fiber, users receive 56% of their daily fiber intake with one pill. The ingredients of the supplement help keep the digestive tract in solid working order to prevent any longterm health problems. While good, the pill left reviewers with dry throats if not enough water was consumed immediately after ingestion of the supplement. 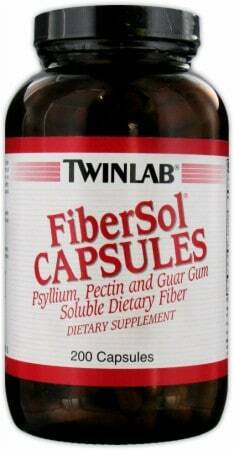 Manufactured by one of America’s most reputable vitamin and supplement companies, Twinlab Fibersol is an excellent option for a supplement. Containing all natural and gluten free ingredients, this supplement is ideal for people with dietary restrictions or food allergies. The majority of the dietary fiber in each pill is derived from fruits and plants. On the downside, the cost of the supplement at $25.28 for one package may be prohibitive to many buyers. 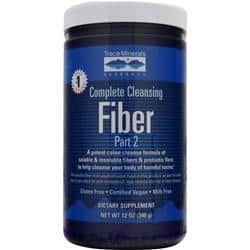 As opposed to our #4 and #5 ranked supplements, Optimum Fitness Fiber is purchased in powder form and can be added to water or milk prior to drinking. Despite being labeled as unflavored, many reviewers complained of an unpleasant aftertaste. 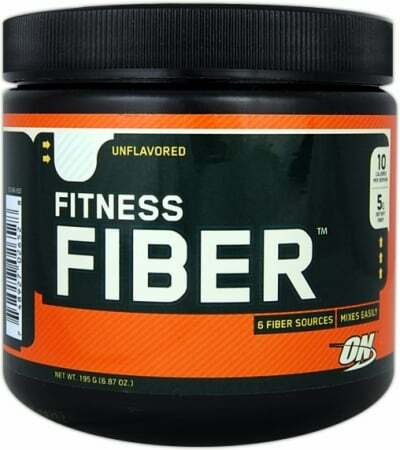 Each teaspoon serving of Optimum Fitness Fiber provides 5 grams of dietary supplement. It is designed to be added to a beverage, protein shake, oatmeal or cereal. Each serving contains only 10 calories. Many reviewers felt that taking a pill was easier as a single capsule contains enough protein for a single day. Whereas with the powder fiber, users must take this supplement multiple times everyday. 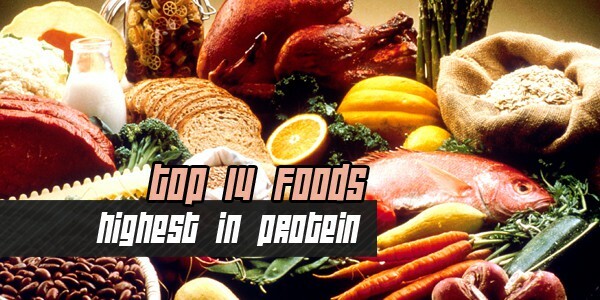 Often bodybuilders and athlete consume a diet rich in protein and healthy fats. Consequently, their body lacks the needed fiber that is found in greens and fruits. Therefore, taking Myogenic Pro everyday can help promote and support a healthy digestive and intestinal system. 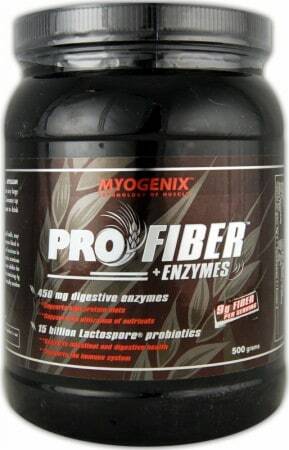 In addition, this product has an enzyme blend that is designed to work with high protein diets. As a powder, this supplement is designed to be mixed in any beverage or added to a meal. It is described as tasteless; however, some reviewers stated there was a slight aftertaste. 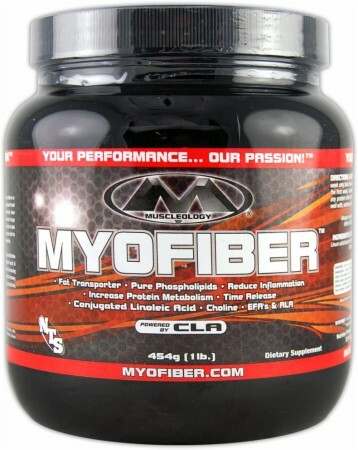 As our #1 rated supplement, Muscleology MyoFiber has a powerful and effective blend of natural and bulk producing dietary fiber. Each gram of the supplement is designed from healthy fruits, vegetables and grains that are often lacking from a bodybuilder’s high protein diet. Additionally, the product includes a proven and tested blend of ingredients like gum, pectins and polysaccharides that help promote a healthy digestive system.